Many parents relish in proud joy when their child brings home his or her first drawings from the babysitter or from school. They go on the refrigerator for all to see. Or, parents will hang their child’s artistic treasures on the bedroom wall with tacks or tape. But then the inner-artist that characterizes those early years (and beyond!) goes into mass-production mode. Suddenly, one work of art has multiplied to four, then twelve then…forty-eight...maybe even ninety-seven pieces! You feel like you can’t throw any pieces away for fear of damaging your child’s ego and, by extension, their mental development. “But, I drew it for you, Mommy,” she pleads. It’s tough to say no, isn’t it? Not to worry! 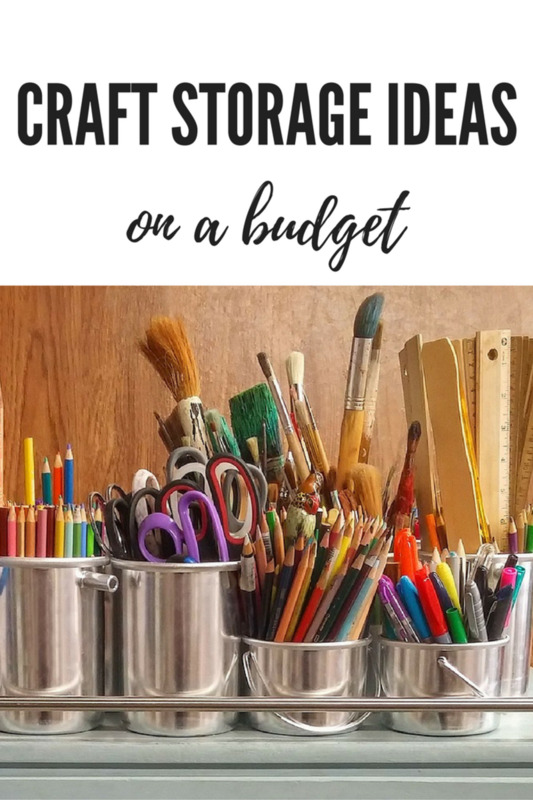 I have compiled a list of ideas here, from free to a little more expensive, to highlight your children’s art. Before delving into the ideas, I must ask you to think about something.You know how retail stores often change out their inventory to keep everything “new” and “fresh”? Use the same idea with your child’s artwork. Select a special few pieces and rotate them out every month. When your child sees the special care you’re taking for his or her work, it’ll actually encourage creativity. Then, you can either store artwork using the ideas below and/or you won’t have to feel bad about recycling all that art. Make a calendar - one teacher I know took twelve pieces of each student's artwork and created calendars for parents. Your child can do the same! Have your child make 12 grids into which the days of the month will fit. Then, get 12 pieces of artwork and glue to the back of each grid, calendar style. Hole punch together and tie with yarn. 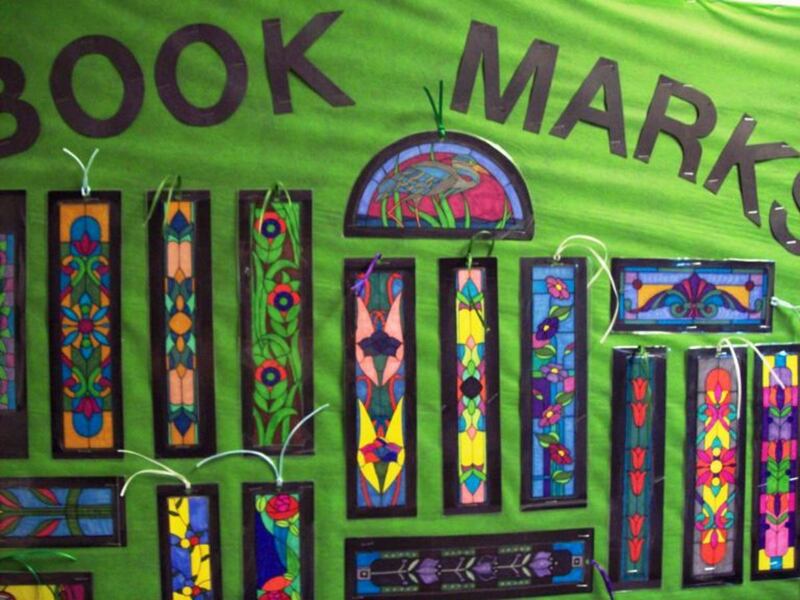 You can also recruit your child's teacher to use the book-binder at your child's school for an even better look. Make greeting cards - cut out your child's work and paste onto construction paper. Fold into a card. These make great greeting cards for any occasion. Make collages - Your child can cut up older pieces of artwork to make new work in a collage format. This is a great way to recycle, too! Use StikkiClips – These are great because they don’t leave holes in the wall. They have a wax-backing which allows you to put these clips virtually anywhere. Then, you insert artwork into the “tooth” of the hook. Schools use these a lot. The only drawback is that when you remove these clips, they leave a little bit of waxy residue, but that’s nothing a good cleaner won’t get out. Another idea is to laminate the artwork. This will help keep it from wrinkling or fading and it adds a touch of professionalism to your child’s artwork. You can purchase laminating sheets in individual pieces or you can get a laminating machine for a lot less than you think. For around $30, you can be well on your way to archiving your child's artwork for posterity. You still might be tempted to use the fridge. After all, it's a high-visibility, high-traffic place to put artwork. But I’m here to tell you from experience that things that go on the refrigerator slide all over the place, get wrinkled, in the way, and those artistic treasures then witness a slow…humid…crinkly…end. It's rather sad for the artwork. Instead, establish an area – whether it’s the hallway, a front room or your child’s bedroom - for artwork. String up a wire, get some clips and voila, you have a beautiful art space. If you are the do-it-yourself type, stringing up a wire can be as simple as using yarn or even craft wire. Secure it in place and then get some clothespins. Have your child help you decorate them – or do that yourself while your child is taking a nap – and not only will you have pretty artwork, you’ll have pretty clips, too. My local neighborhood school uses this method and they would know: they have hundreds of children’s artworks to contend with at any given time. You can also get more sophisticated. Ikea has a curtain wire system that can double as a place to hang your child’s artwork. It’s wall-mounted and you can cut the wire to fit the space. This is a great idea if you want to install several in a hallway or in the front room. Though they don’t take up much space, you’ll have room for a large volume of work. A set is $12.99 and includes the hardware necessary to hang the wire from the wall or even the ceiling. Note: the price here is what is listed on Ikea’s website. You cannot purchase from their website, though. They do offer a link to find local stores that carry them. If you like magnets and you’re sad about not using the refrigerator, you can try using magnetic paint. It’s a primer that you apply just like regular paint. Then, you can paint over it with a color of your choice to match. When dry, you can hang all of your child’s artwork with magnets. Have you ever heard the phrase, “If you can’t beat ‘em, join ‘em”? Many a child has expressed his artistic prowess on beautiful white walls – a seemingly perfect canvas. When you go to paint over it, instead of using regular paint, why not get chalk paint? It acts just like a chalkboard. Your child can draw all over the wall, erase and draw all over the wall again! How Do You Display Your Child's Artwork? I actually use a lot of the suggestions here already! I haven't used very many, but now I've got lots of great new ideas to use! I'm swimming in artwork. Now, I'll be able to come up for air! If wire doesn’t appeal to you, or if you like the neat look of using frames, you have several great options. You can always purchase inexpensive frames and insert your child’s artwork. Every so often, it’ll be easy to rotate it out. For an added touch, you can “mat” the work. If you don’t like the idea of going to the craft store and trying to figure out what type of matting to get, or you don’t have your own mat-cutter, have no fear! You can get pre-cut mats for standard frames at www.matcutter.com . They’re inexpensive and it’s a great option if you are mat-challenged – like I am. If you like the idea of framing art, but don't have a lot of time to periodically switch out the artwork, there is a great product on the market now to streamline this process. It’s called the Li’l Davinci Art Cabinet and it can hold up to 50 pieces of artwork. They open like a door in the front, and you just insert a piece of artwork. The only drawback is that it has to be the size of the frame. They come in several colors to match your décor and are relatively inexpensive at just over $30. 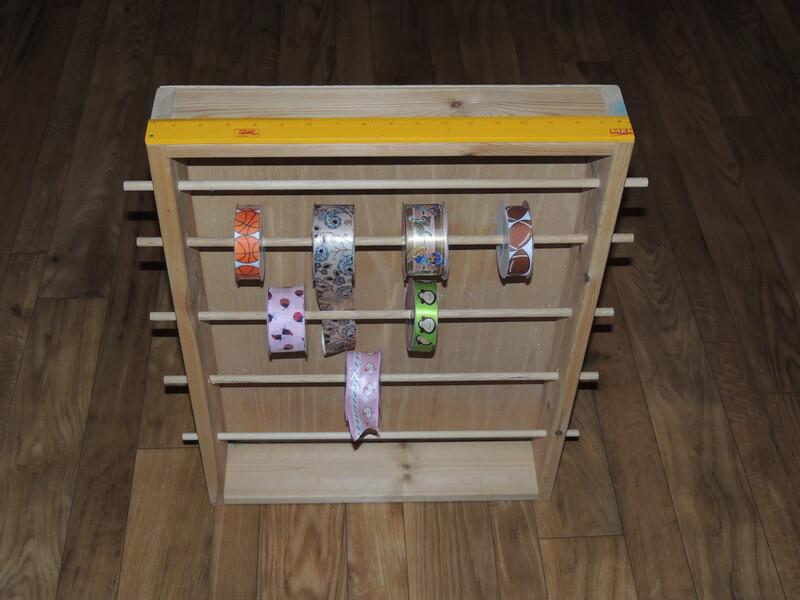 They are pretty versatile because you can hang them vertically or horizontally or display them with a table stand, which is included with every order. The Digital Age really has its benefits. If you are swimming in wonderful waves of artwork, but find yourself needing to come up for air, you have some great choices. First, you can scan all of your child’s images right into the computer. From there, you can make wallpaper backgrounds – with just the right-click of the mouse – and make screensavers as well as CDs. You can also use a digital photo frame. After you have scanned the images onto your computer, you can save them onto a memory stick. Plug into the USB port on the back of the frame, and you’ll be able to display your child’s artwork. Digital photo frames have a slideshow option and they often come with a remote for ease of use. Some even take memory cards from your camera. You can go even further with technology. I’ve used www.zazzle.com before to put my own artwork onto bumper stickers, cups, calendars, cards, and even larger posters! This is a great website that expertly converts artwork onto other media. Can you imagine your child’s delight when her father wears a tie with her artwork on it? Or a T-shirt? But, all that scanning takes time. What if you don’t have time? Not to worry! How about if someone else could scan and preserve all of your child’s images for you? Not only that, what if they could make a beautiful coffee table book with all of that artwork? Yes, this awesome idea by Susan Berman at SouvenarteBooks is getting to be wildly popular! They’ll even work with three dimensional works of art – your child’s sculptures, pottery, bookmarks – you name it. It’s incredibly easy to have the perfect coffee table book. You select the artwork you want (or, they can select it for you), send it off, and a short time later, you’ll have a book with your child’s beautifully preserved artwork. Before printing, they will make sure you like the design and layout. They’re based out of New York City and they can come pick up your artwork for you if you live in the area. Even better, they make a point of donating some of their proceeds to charities around the world. You can’t beat that! Hezekiah - I know your kiddo will love and appreciate you all the more for hanging and displaying her stuff. :) Cheers! Excellent Hub, my child is only 3 but it would be nice to display some of her stuff. hubcloud - thanks so much for stopping by. I appreciate the kudos and votes. :) Have a wonderful day! Hubhugs! wow...well written hub and I got a lot from this. Rated high. Hey, this is great! Thanks for some awesome ideas. kidscrafts - thanks for stopping by! I appreciate your comments and feedback. I definitely have had to become inventive with the artwork around the house, hehe. Great suggestions! It's so true...you don't want to hurt their feelings by not displaying their art production and you don't want them to stop creating either. Thank you for all your good ideas! Brett - great to see you!! Thanks for stopping by and for offering your insights. I appreciate it, my friend. Thank you, too, for SHARING. Some great suggestions, so of which we can definitely make use of at the school. I loved this article! Great ideas, beautiful pics. I hang my child's artwork throughout his room and all over our house. I'm going to use several of your suggestions to change things up a little. Voted up, awesome, and useful! Lovely Hub! I especially like the Stikkiclips and the yarn/clothespins idea. Perfect for my the artwork I receive from my niece and nephew. (Often I just scan it.) Voted up, useful, and beautiful! This is my favorite hub today! 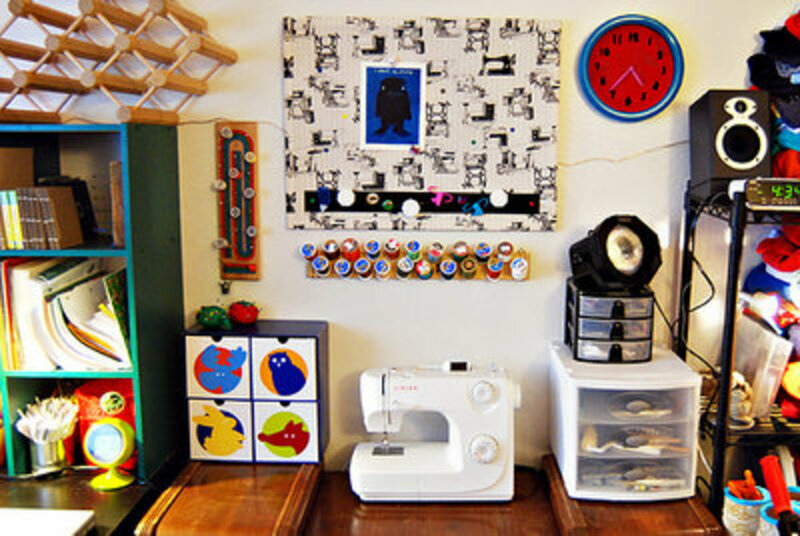 Great ideas for displaying kids art, and so much more! Your artwork is really cool. Bookmarking this one for sure! stephhicks68 - that is wonderful! I bet your kids appreciate the love and care you're putting into displaying their work. It's great that they get to "pick," too, because it gives them a sense of control. Thanks so much for stopping by! Melis Ann - I'm so glad you're able to use some of these ideas! You have a laminator? Oh my goodness...suddenly I'm thinking about all the things that will be so fun to laminate! Thank you so much for the votes and for sharing. Wait...a little Miss Cara? How cute! Hehe, I love it: future HubPages writer. You know, we could make a t-shirt out of THAT! :D I'm sure you're also going to have the most amazing greeting cards EVER. EclecticFusion - I'm very glad you like these ideas. The mugs were definitely fun to get back in the mail. :D Thank for stopping by. taw2012. I'm glad you liked this. Thanks for stopping by. billy - (HUGS) to you. :) You always brighten my days with your kind words. I so appreciate your wonderful comments. When art works keep piling up, it is better to go the digital way. Paintings and drawings can be scanned; objects photgraphed. As many of these are gifted away, digitalizing them is a good way to remember them. We can make a portfolio of these images in photo sharing sites. The whole idea is to preserve them for the child to see after he/she grows up. Once it is in digital format, you can do whatever or whenever you want with it. Voted up and interesting. Lots of great ideas for displaying kids' art work! I have four kids, and its been tough culling through the masterpieces to keep a few key items to display. We have a "homework" corner and I strung a clothesline above the table and used clothespins to hang a single sample from each child. They get to pick and we switch out every month or so. Rated up! 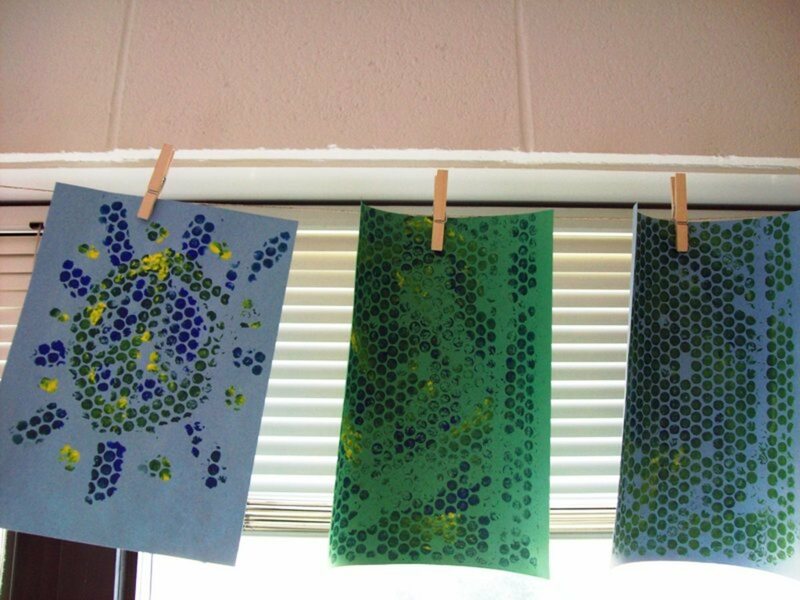 Lovely ideas on keeping children's artwork! I started taking photos of projects that were difficult to keep. I just got a laminator and will make good use of it. Also love the idea of the stikkiclips. Very useful, voted up and SHARED! Great ideas. The sad thing about being the mother of boys is after awhile they don't care about their art work. I definitely have a little artist in my life! She is ALWAYS writing (future Hubpages writer!) and drawing. We just attended my kids' preschool art show this past weekend. It was INCREDIBLE! They did such an awesome job. I have lots of pieces to explore these ideas with now. Thanks for the fantastic ideas, I especially like the greeting card. 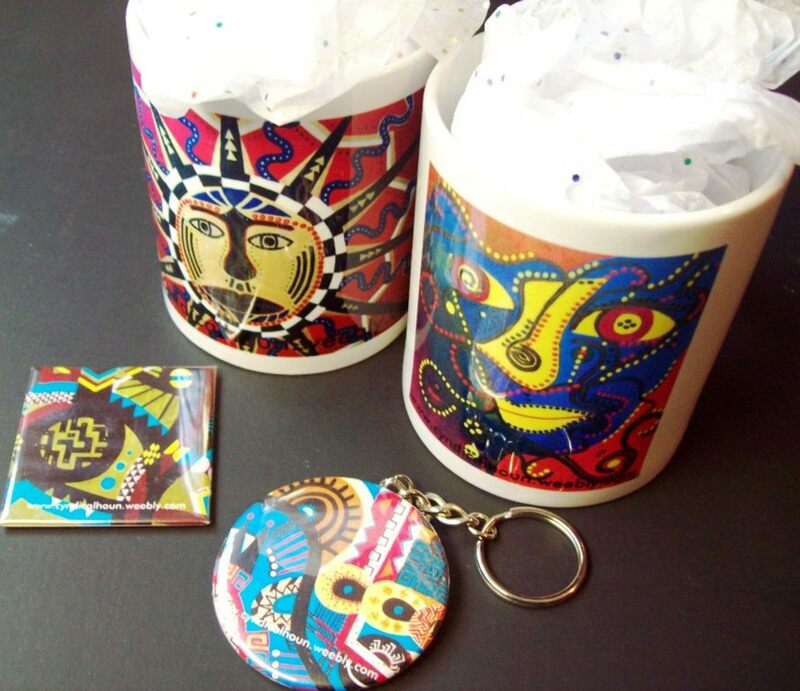 I love all of these ideas, but especially the mugs with artwork on them! I need to try that for my refrigerator art! Thanks for a wonderful Hub! Hold up...we're supposed to save the artwork? Is this why my granddaughter keeps asking where the picture is she gave me? Uh-oh. Me bad. Joke!!! I keep it for a short period of time and then it goes....in "our" special folder. I like your ideas! I like the digital shirt! Way cool CC! These are some awesome ideas. I'm glad I stopped by because my refrigerator is full and I needed new ways of displaying and saving my daughter's artwork. Thanks for sharing. You are so creative...and talented....and just a darn nice person. Great job; I wish I had you as a teacher in grade school instead of those mean nuns. Thanks for publishing this article. You've presented some very useful tips. My mother saved a terrible piece of pottery I made while I was in grade school. It's now one of my treasured possessions. No matter what a child's piece of artwork looks like, it's very important for a parent or grandparent to save it. Thanks for your tips... I have 4 kids and they like drawing, painting and doing krafts so sometimes my house is full of my children´s art!!! This is a very useful hub! Actually I have thrown many of the pieces done by children. cclitgirl, these ideas pop one at a time, sometimes, but to have them all in one place, with name of vendors and tools and cost and everything...that is superb and hard work too. I admire your dedication in creating this Hub. As a teacher and loving kids, I find these ideas very helpful and bookmarking for future reference. Voted up useful and awesome. I adore the calendar idea using children's artwork. I may go back to the pieces I have kept from the boy's over the years and use that idea. What a wonderful hub. Well done! All of these ideas are so awesome! I have 2 dresser drawers dedicated to each of my sons full of their art work from school and home. They both are overflowing so I really need to try one of your suggestions! Great job - voted up and useful! Cyndi, I love your ideas. This is a very useful article. Thanks!